In Pennsylvania its a crime to record a telephone conversation or practically any two-way oral communication unless both parties consent to the recording under Pennsylvania’s Wiretaping and Electronic Surveillance Control Act. This act doesn’t apply to emails, and text message, which the Pennsylvania Superior Court equates to leaving a voicemail message. Pennsylvania is only 1 of 11 states with a “two party consent” law. The majority of states, including the District of Columbia, are only “one party” consent states. Recording conversations without consent can subject you to criminal prosecution as well as a civil lawsuit for damages by an injured party. There are exceptions to this law, specifically in the case of investigative or law enforcement wiretaps. Pennsylvania’s wiretap law covers all private oral communication. 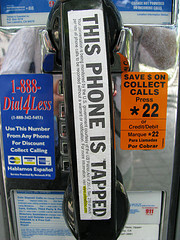 If police or law enforcement want to obtain an authorization to intercept and record a person’s phone or other oral conversations, the attorney general or the district attorney for that jurisdiction (county) must make a written application to a Superior Court judge for an Order authorizing the interception and the recording. The Pennsylvania Superior Court is one of two of our Commonwealth’s intermediate appellate courts. The other intermediate appellate court is the Commonwealth Court. While Superior Court judges mostly review civil and criminal cases that are appealed from the Court of Common Pleas in Pennsylvania’s 657 counties, the Superior Court judges also review and decide on wiretaping applications. There are 15 judges on Pennsylvania’s Superior Court and they serve 10 year terms. Under this Pennsylvania law the recording of telephone or other oral communications is prohibited unless the aggrieved party lacks “a reasonable expectation of privacy” and in the contents of the communication. In Commonwealth v. Diego, the Superior Court recently decided that text messages didn’t fall under PA’s Wiretap Act. The Superior Court went on to say that text messages are unlike phone or other oral conversations but more like e-mails which are automatically recorded. The Superior Court also held that an I-Pad is not a “device” under Pennsylvania’s Wire Tap law and that users lack a reasonable expectation of privacy when emails or texts are sent from them or any mobile devices. Sending an e-mail or communicating in a chat room, according to the court, is equivalent to leaving a message on an answering machine. The sender knows that the communication is being recorded and that it could be downloaded, printed, saved, or forwarded. E-mails, text messages, and leaving a message on an answering machine (voicemail) falls under the “mutual consent” provision that is exception to the Wiretap Act in Pennsylvania. The sender knows that the communication will be recorded and therefore the sender lacks the expectation of privacy or at least a reasonable expectation of privacy. By engaging in text messaging the court found that the sender risks that another party would share the contents of the communication with a third party. It’s important to understand that this judicial decisions focuses on the communication and not the device. A person may still have 4th Amendments rights (Illegal Search and Seizure) if police were to try to seize an IPad, IPhone, or any other mobile device. So, if a person shares a voicemail from a detective about an investigation, it is all the way legal? Is there perhaps a crime sharing it ?